A range of sitters, from members of the Northern Italian elite to workaday artisans such as The Tailor, inhabits the canvases of the Italian Renaissance painter Giovanni Battista Moroni (1520/24–1579), the subject of a current exhibition at the Frick Collection. A constant in these portraits is his use of somber grounds—gray, dappled, and shadowy walls that surround and set off his sitters. 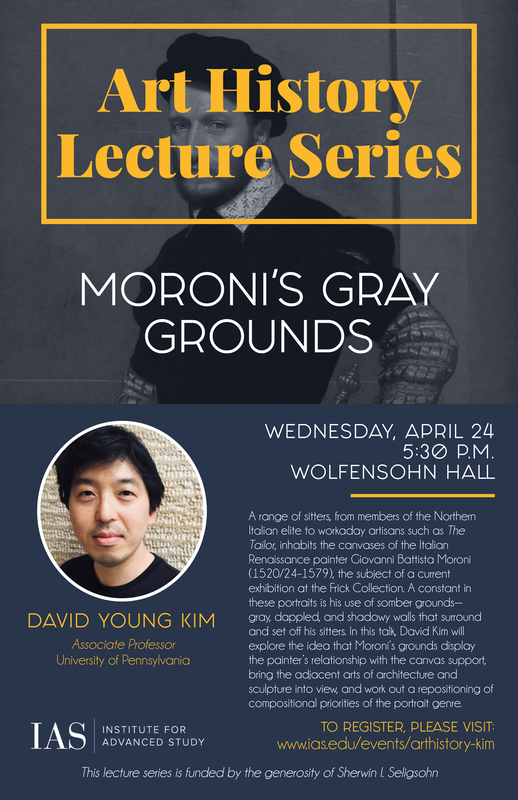 In this talk, David Kim will explore the idea that Moroni’s grounds display the painter’s relationship with the canvas support, bring the adjacent arts of architecture and sculpture into view, and work out a repositioning of compositional priorities of the portrait genre.